The turnout was smaller–unlike the 40 to 50 folks we h ad at some recent meetings, about 30 attended on September 13–but, as always, we had a great time. We sang the classic “The Letter,” and asked aloud with our tongues in our cheeks, “Hey–what’s a letter?” (What would the title of the song be in 2012? ‘The Email’? ‘The Tweet’? ‘The Text’?” None has that same ring, don’t you think?) We also brought back a favorite we hadn’t done for a while, “Secret Agent Man,” and that was a lot of fun to sing again. Plenty of folks also had material to share during the “open non-mike” period of the program. It was a real mix. 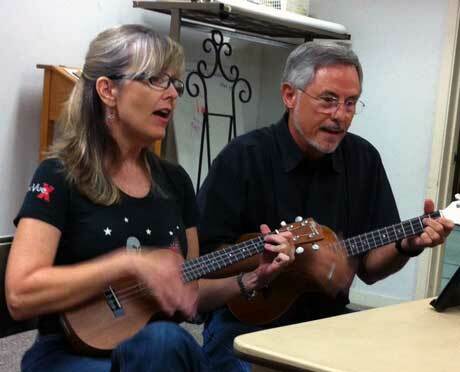 Woody sang the Dan Daly song “Still in Saigon.” Sandra and Ray sang the classic uke number “Tonight You Belong to Me” (made famous by the first Steve Martin movie “The Jerk”). 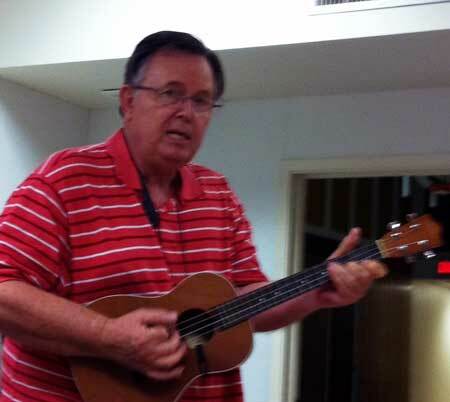 If you’ve seen Martin perform the song in the movie, yo u should know that the uke on the soundtrack was played by the famous studio musician Lyle Ritz, and that immediately after the last take, Ritz stepped on and crushed the vintage Martin uke he’d been playing. We all had a great time, and we all (I hope) look forward to the October 11 meeting. We’re not yet certain what the song for October will be, but watch this space and you’ll find out soon. Suggestions are always welcome–send us a comment or write us at austinukes [at] gmail. 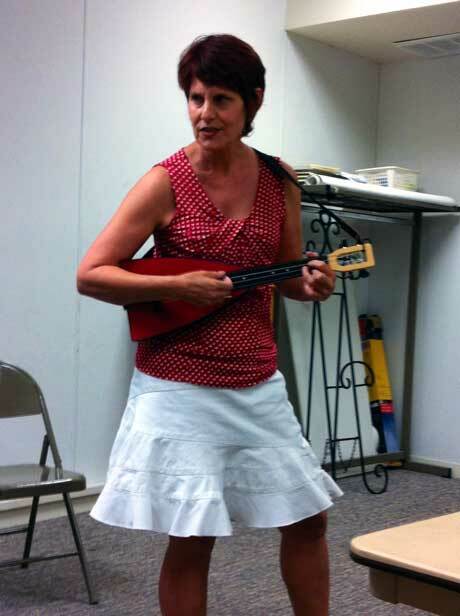 This entry was posted in AUS activities on September 16, 2012 by Austin Ukulele Society.